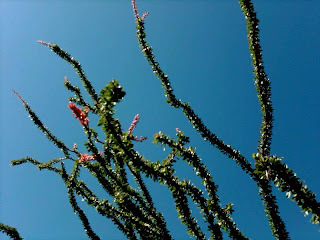 Ocotillo (Fouqieria splendends), also known as Coachwhip, grows mostly on stony slopes in the desert southwest of the US at altitudes around 3000-3500 feet. 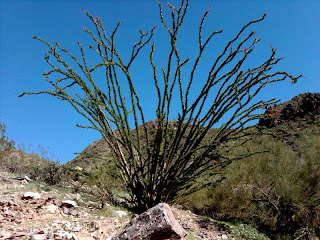 Like Saguaro, it is most frequently located in Arizona and factually is not a true cactus. 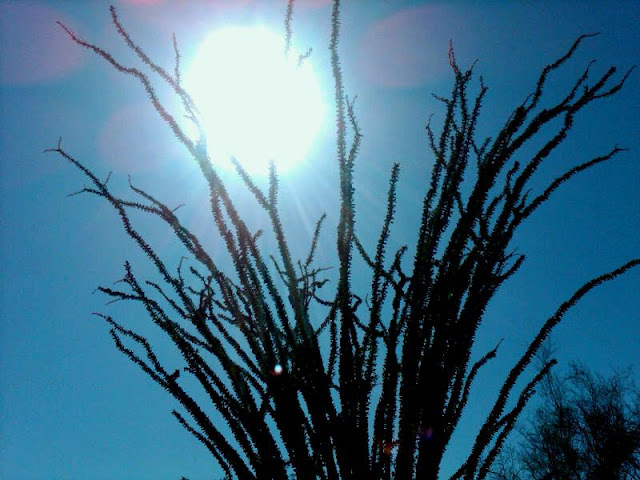 Growing in the shape of an inverted funnel most of the year it is dry and appears as a large shrub of sticks with spines. These sticks are frequently used as handy poles for fencing, wired together to make sturdy structures as wind barriers and to keep animals in and out. The leaves are present most of the year but are small and tiny but in the wet season become evident by turning very green and large. The rainy winter Phoenix has experienced this year is bringing the leaves out magnificently now. Soon the red flowers, which are pollinated by hummingbirds and carpenter bees, will become much more abundant and larger. 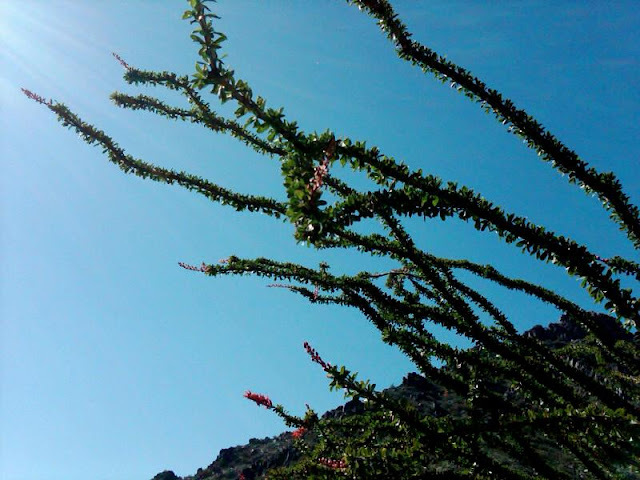 This promises to be a gloriously green and colorful desert spring in the southwestern US.